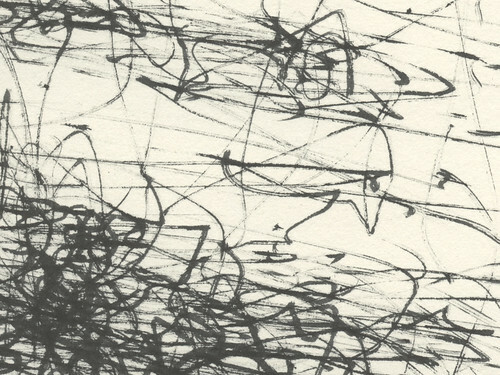 I am very proud to announce Yumi Takahashi's new exhibition, opening on the Thursday 9th July at 8pm and running for 2 weeks at the Kaleidoscope Gallery in Paddington, Sydney. Yumi is my lovely and talented friend - we collaborated last year on our Souzou project and she was inspiring to the end! She would love to see lots of people at the opening so tell anyone you know that might be interested... I will be there, enjoying the beauty of Yumi's dreamy and contagiously beautiful artwork. 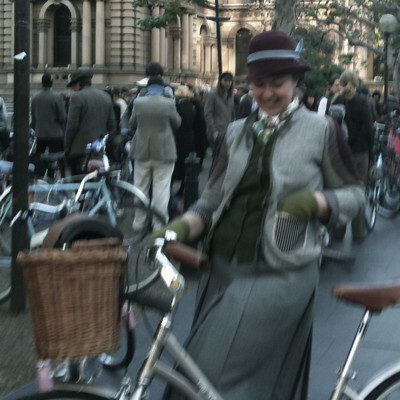 A fantastic morning cycling the city streets in our tweed get-up! NP, Pat and I met bright and early at Town Hall and then made our way down to the Opera House, back up into the city, and to a park in Alexandria. 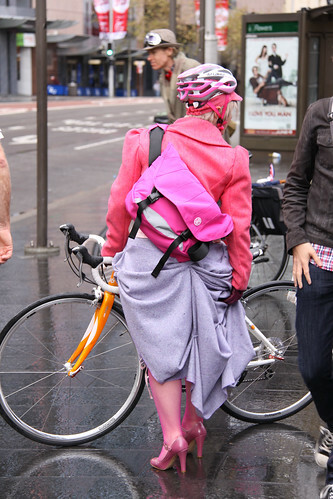 We had some funny looks and hoots from people... the lycra-clad speedies thought we were very odd-looking! 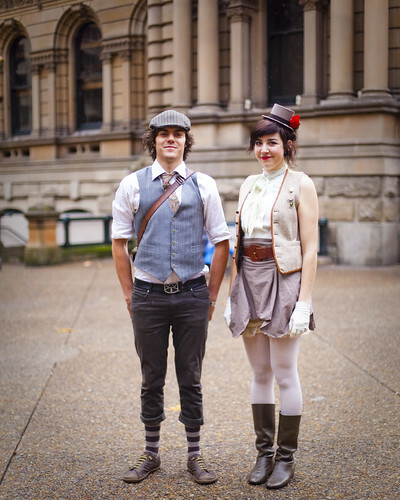 You can see more photos here! 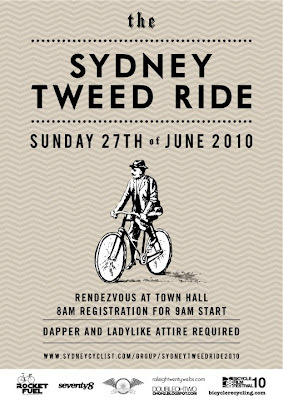 The Sydney Tweed Ride is this Sunday! Oh this is going to be fun! 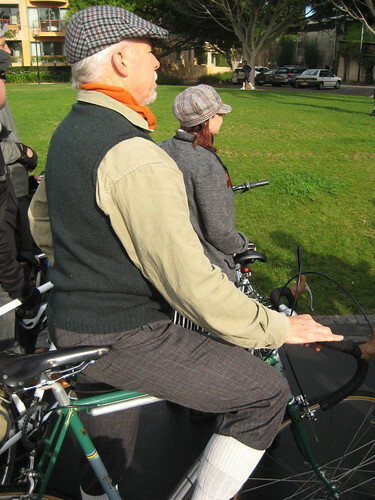 A tweedy-bike ride from Town Hall to Alexandria... finally my bike is in 100% working order and it's time to get out and mingle! 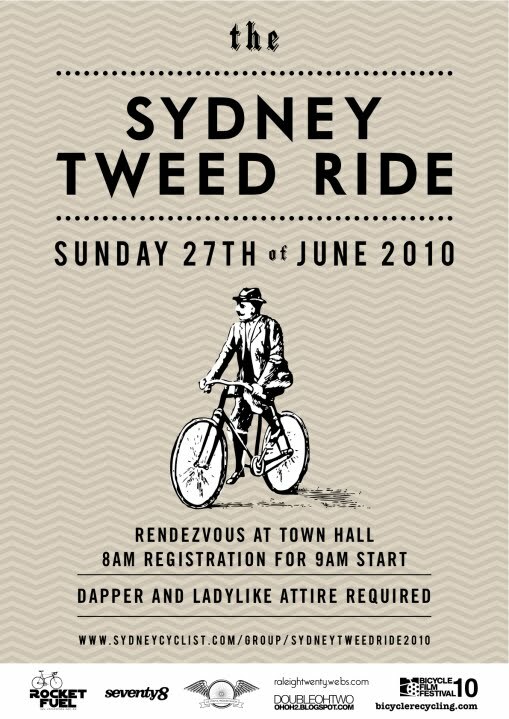 Let me know if you are going too... Thanks Pat for the heads up... see you there! 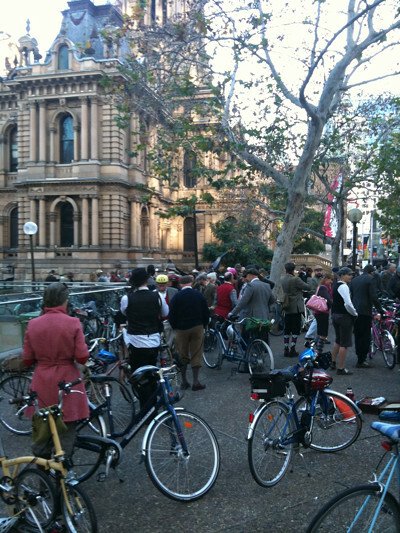 TweedRun09 042, originally uploaded by tiglen. 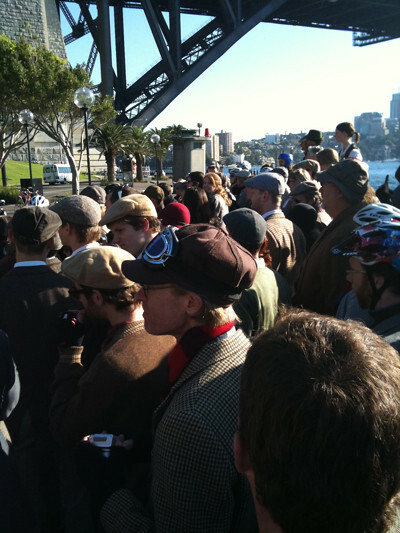 Sydney Tweed Ride, originally uploaded by Will..
tweed_0096, originally uploaded by niftydandy. I think it's always nice to expand on creative experiences... ceramics has done wonders for pracitising wabi-sabi spontaneous creation. I'm hoping next year it will be the cello. Immersion into this new field has included listening to lots of Yo-Yo Ma (especially his Bach albums) and Zoe Keating (a contemporary cello player). Today I found these lovely experiments by George Showman. 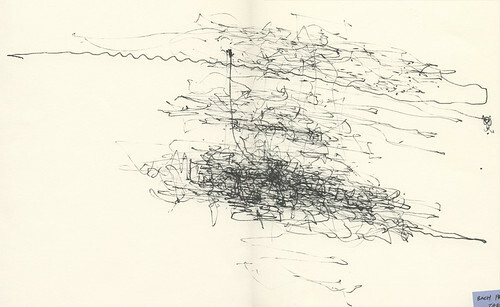 A soon-to-be architect exploring gesture and mark-making while playing the cello.